Christian Bale‘s active dislike of his uncomfortable Batman outfit helped his performance as the Dark Knight as he was perpetually in a foul mood when wearing it. The first day of filming that he tried on the Batsuit, he stayed in it all day in an effort to get used to it. A quote from him that some of the crew had on the back of their t-shirts (the wardrobe department did it as a joke) said: “It’s hot, dark and sweaty and it gives me a headache.” He lost his voice three times during filming after altering his voice while playing Batman. Bale revealed in interviews in 2009 that in his first ever scene with Michael Caine and Morgan Freeman (one involving Bale waking up in bed to find them waiting there), he fell asleep after getting ready for the scene. Bale described waking up to find Michael Caine poking him in the ribs, saying “Look at that! He’s bloody fallen asleep”. Although he performed many of his own stunts, Bale wasn’t allowed anywhere near the Batmobile. Christian Bale’s trailer didn’t have his name on the door but said “Bruce Wayne” instead. Before the shooting began, Christopher Nolan invited the whole film crew to a private screening of Blade Runner (1982). After the film he said to the whole crew, “This is how we’re going to make “Batman”.” In turn, “Batman Begins” inspired James Bond producers Michael G. Wilson and Barbara Broccolli to reboot the James Bond franchise and reinventing the character of British secret agent James Bond and making him much darker and more realistic. The 2006 Forbes Fictional 15 ranks Bruce Wayne as the 7th richest fictional character with a net worth of approximately $6.8 billion. At the time of this film’s release, Forbes Magazine did a breakdown of how much it would actually cost to become Batman. The magazine estimated that total expenses in US dollars would be around $3.5 million. 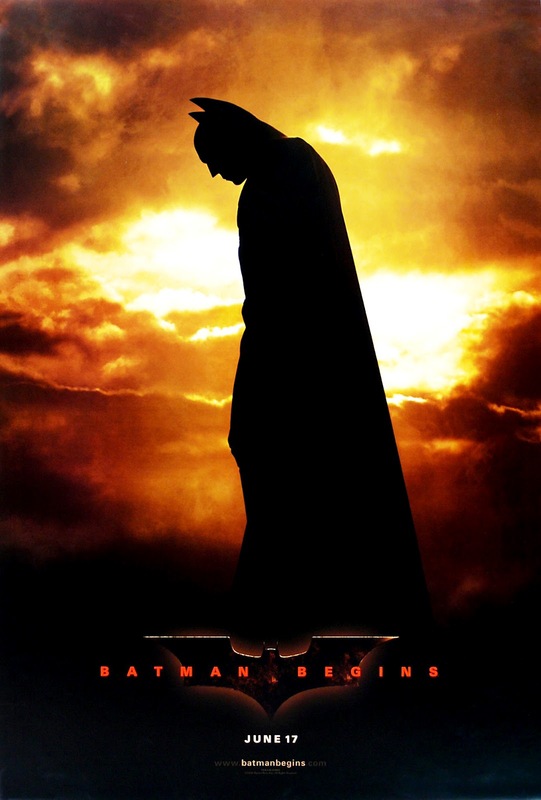 Surprisingly, “Batman” is said only 10 times throughout the film. India has had some very fascinating animators. One of the pioneers was Ishu Patel, a National Institute of Design (NID) faculty trainee, who, during his time there met and worked with luminaries from the art world like Armin Hoffman, Bob Gill, Adrian Frutiger, Henri Cartier-Bresson, Charles and Ray Eames, Leo Lionni, and Gulio Gianini. Through a Ford Foundation Grant provided to the NID, Ishu Patel finished his post graduate studies in Graphic Design under Armin Hoffman at the Allgemeine Gewerbeschule in Basel, Switzerland. He returned to the NID, where he taught and became Head of Visual Communications. A Rockefeller Foundation Scholarship brought Ishu Patel to the National Film Board of Canada to study animation filmmaking for a year, and in 1972 he joined the NFBC. For twenty-five years under the NFBC mandate, Ishu Patel produced and directed personal animated films and mentored young filmmakers. His many international awards include the British Academy Award, two Oscar nominations, the Silver Bear Award at the Berlin Film Festival, Grand Prix at the Annecy International Animation Film Festival, and Grand Prix at the Montreal World Film Festival. He is particularly known for his 1977 film The Bead Game which was nominated for an Academy Award. The Bead Game is a stop-motion animation film that covers the billions of years of evolution in five and a half minutes, brilliantly done to the wonderful percussion on the tabla in Indian classical style. As the creatures evolve and become more complex and supposedly more intelligent than the previous breeds, their destructive tendencies continue to dominate their characteristics. Ishu Patel launches himself into a history from single-celled microorganisms to sea creatures to apes to Greek warriors to the atomic bomb, all doomed to destroy the other. Back in 1982, Steven Spielberg, who had made a mark with ‘Close Encounters of the Third Kind’, ‘Jaws’ and more recently, launched Harrison Ford as the cocky but immensely lovable Indiana Jones in ‘Raiders of the Lost Ark’, made a movie about friendship between a human boy and an alien lost on our planet. I cannot count the number of times I have watched ‘E.T. The Extra-Terrestrial’, but I can tell you that it made me whoop with joy and weep with sorrow every time I watched this bittersweet story unfold. While I have never doubted the greatness of the movie, I have often heard people say that ‘E.T. The Extra-Terrestrial’ is a good film, but definitely not a great film. Fair enough; to each his own. But I came across this review of the film by the phenomenal film critic Roger Ebert, and I felt the desperate need to share it. Ebert, in this review, writes to his grandchildren, aged 7 and 4, about the time they all watched E.T. together. He is simultaneously humbled and impressed with how much more he understood this already-favourite film because of the reactions of his grand kids to it. Sunday we sat on the big green couch and watched “E.T. The Extra-Terrestrial” together with your mommy and daddy. It was the first time either of you had seen it, although you knew a little of what to expect because we took the “E.T.” ride together at the Universal tour. I had seen the movie lots of times since it came out in 1982, so I kept one eye on the screen and the other on the two of you. I wanted to see how a boy on his fourth birthday, and a girl who had just turned 7 a week ago, would respond to the movie. Well, it “worked” for both of you, as we say in Grandpa Roger’s business. Raven, you never took your eyes off the screen–not even when it looked like E.T. was dying and you had to scoot over next to me because you were afraid. Emil, you had to go sit on your dad’s knee a couple of times, but you never stopped watching, either. No trips to the bathroom or looking for lost toys: You were watching that movie with all of your attention. The early scenes show a spaceship landing, and they suggest that a little creature has been left behind. The ship escapes quickly after men in pickup trucks come looking for it. Their headlights and flashlights make visible beams through the foggy night, and you remembered the same effect during the ride at Universal. And the keys hanging from their belts jangle on the soundtrack. It’s how a lost little extraterrestrial would experience it. Then there are shots of a suburban house, sort of like the one you live in, with a wide driveway and a big backyard. A little boy named Elliott (Henry Thomas) is in the yard when he thinks he sees or hears something. We already know that it’s E.T. The camera watches Elliott moving around. And Raven, that’s when you asked me, “Is this E.T.’s vision?” And I said, yes, we were seeing everything now from E.T.’s point of view. And I thought you’d asked a very good question, because most kids your age wouldn’t have noticed that the camera had a point of view–that we were seeing everything from low to the ground, as a short little creature would view it, and experiencing what he (or she) would see after wandering out of the woods on a strange planet. While we were watching, I realized how right you were to ask that question. The whole movie is based on what moviemakers call “point of view.” Almost every single important shot is seen either as E.T. would see it, or as Elliott would see it. And things are understood as they would understand them. There aren’t any crucial moments where the camera pulls back and seems to be a grownup. We’re usually looking at things through a child’s eye–or an alien’s. When Elliott and E.T. see each other for the first time, they both jump back in fright and surprise, and let out yelps. We see each of them from the other’s point of view. When the camera stands back to show a whole scene, it avoids showing it through adult eyes. There’s a moment, for example, when Elliott’s mom (Dee Wallace Stone) is moving around doing some housework, and never realizes that E.T. is scurrying around the room just out of her line of sight. The camera stays back away from her. We don’t see her looking this way and that, because it’s not about which way she’s looking. Later, in the scenes that really worried you, Raven, the men in the trucks come back. They know E.T. is in Elliott’s house, and they’re scientists who want to examine the alien creature. But there isn’t a single moment when they use grownup talk and explain what they’re doing. We only hear small pieces of their dialogue, as Elliott might overhear it. By then we know Elliott and E.T. are linked mentally, so Elliott can sense that E.T. is dying. Elliott cries out to the adults to leave E.T. alone, but the adults don’t take him seriously. A kid knows what that feels like. And then, when Elliott gets his big brother to drive the getaway car, and the brother says, “I’ve never driven in forward before!” you could identify with that. Kids are always watching their parents drive, and never getting to do it themselves. We loved the scene where the bicycles fly. We suspected it was coming, because E.T. had taken Elliott on a private bike flight earlier, so we knew he could do it. I was thinking that the chase scene before the bikes fly was a little too long, as if Steven Spielberg (who made the film) was trying to build up too much unnecessary suspense. But when those bikes took off, what a terrific moment! I remember when I saw the movie at Cannes; even the audience there, people who had seen thousands of movies, let out a whoop at that moment. Then there’s the scene at the end. E.T. has phoned home, and the spaceship has come to get him. He’s in the woods with Elliott. The gangplank on the ship comes down, and in the doorway we can see another creature like E.T. standing with the light behind. We all laughed, because you made it sound funny, as you often do–you’re a natural comedian. But remembering it now, I asked myself–how did Emil know that? It could have been E.T.’s daddy, or sister, or the pilot of the ship. But I agree with you it probably was his mommy, because she sounded just like a mommy as she made the noise of calling E.T. And then I thought, the fact that you knew that was a sign of how well Steven Spielberg made his movie. At 4, you are a little young to understand “point of view,” but you are old enough to react to one. For the whole movie, you’d been seeing almost everything through the eyes of E.T. or Elliott. By the last moments, you were identifying with E.T. And who did he miss the most? Who did he want to see standing in the spaceship door for him? His mommy. 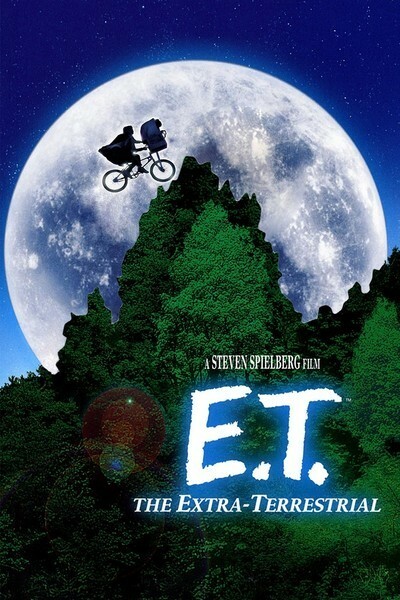 Of course, maybe Steven Spielberg didn’t see it the same way, and thought E.T. only seemed like a kid and was really 500 years old. That doesn’t matter, because Spielberg left it open for all of us. 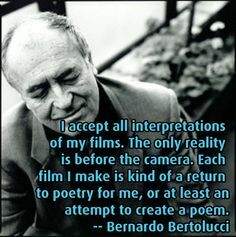 That’s the sign of a great filmmaker: He only explains what he has to explain, and with a great movie the longer it runs, the less has to be explained. Some other filmmaker who wasn’t so good might have had subtitles saying, “E.T.? Are you out there? It’s Mommy!” But that would have been dumb. And it would have deprived you, Emil, of the joy of knowing it was E.T.’s mommy, and the delight of being able to tell the rest of us. Well, that’s it for this letter. We had a great weekend, kids. I was proud of how brave you both were during your first pony rides. And proud of what good movie critics you are, too.